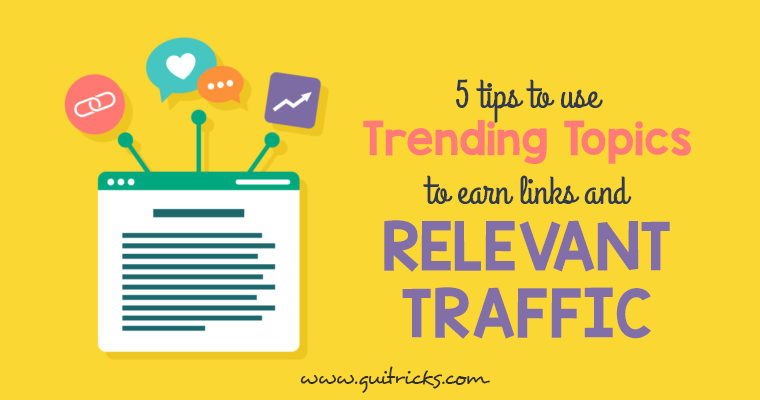 5 Tips To Use Trending Topics To Earn Links And Relevant Traffic | GUI Tricks - In Touch With Tomorrow! 5 Tips To Use Trending Topics To Earn Links And Relevant Traffic - GUI Tricks - In Touch With Tomorrow! You run a marketing campaign because you want to draw people to your platform. You want to engage their interest and build trust. Most people use content to establish a connection with their target audience. Unfortunately, it is easy for content to become boring and repetitive. Many businesses don’t have the luxury of a deep well of interesting topics. They struggle to find a way to create interesting content without it becoming irrelevant. Facebook – Facebook is one of the most popular social media networks with more than 2 billion active monthly users. 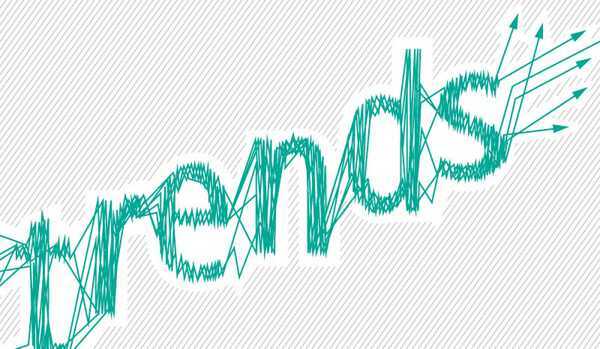 Facebook trends have a big influence on audiences, which is why it is a good idea to keep track of trends on this platform. Instagram – Instagram is also very popular, with more than 1 billion active monthly users. This platform is particularly popular with industries that rely heavily on visual content like fashion, beauty, travel, automobile, etc. Creating content on topics trending here can have a big influence on traffic and backlinks. Twitter – Twitter is very influential when it comes to trends, which is why it is a good idea to keep an eye out for important topics on this platform. Just browse through the trending page and find out which topics are relevant to your industry. Google – Google is the most influential platform available today. You should keep a track of search trends in your industry and create content accordingly. It is easy to find what’s trending on Google through Google Trends. If you keep an eye on the different trends on these platforms, you won’t lack topics to create interesting content on. Scan all the trending topics for keywords more relevant to your industry. You can also use your most successful keywords to find trending topics in the field. All platforms mentioned in this article allow users to search keywords and filter the topics. Look at questions and comments on these trending articles to see if there are any questions related to your industry. That should give help you find relevant articles easily. Avoid topics that are only vaguely connected to your industry. They can have a negative impact on user experience and harm your reputation. Choose topics you can speak authoritatively on. The goal of content is to increase trust and authority. If your content sounds like you don’t know what you’re talking about, you’ll experience problems with your reputation. These tips should help you find the most relevant content in the industry among the trending topics. 3. Are Your Audience And Competitors Interested In It? Analyzing Competitor Content – Check if your competitors have created content or commented on the trending topic on social media. If your successful competitors find the topic interesting, it is likely that your audience will too. Audience Response To Competitor Content – Look at the comments section of the popular topics on the competitor's website. If you see a lot of engagement from the audience, you might want to create a topic for your own purpose. If you see no engagement from the audience, the topic might not be worth the effort. Influencer Response – Influencers are trendsetters. They have a large following and can have a big impact on your industry. That’s why it is a good idea to check their response to trending topics. If the content is popular with your target audience and competitors, it is wise to invest some effort into it. Find a Vacuum – Do you feel that the other articles or topics aren’t looking into a specific angle or perspective? You can fill the gap and create unique content by taking advantage of this vacuum. Offer a Rebuttal – If someone has offered a personal opinion on a trending topic, offer a different view on the opinion. Opinion posts, especially if they’re slightly controversial, have a lot of impact on traffic. Make sure you strike the right balance between controversial and offensive. Don’t Reward an Existing Article – Don’t reword or recreate content that already exists. You can draw inspiration from the information provided or explore certain topics mentioned in the other viral articles in-depth. 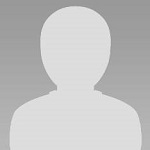 This might even create an opportunity for backlinking. Unique content will draw more traffic, links, and revenue. They are also more durable and will keep generating results for several months. Different formats can help you keep people engaged and make the content link worthy. Formats like infographics, podcasts, diagrams, videos, etc., can engage people’s interests for a long time. Formats like infographics and diagrams are also very shareable. You’ll find they’re very popular on social media platforms. These tips will help you keep up with trending topics and create content based on that. Following this strategy will bring in more traffic while improving your reputation in the long run.